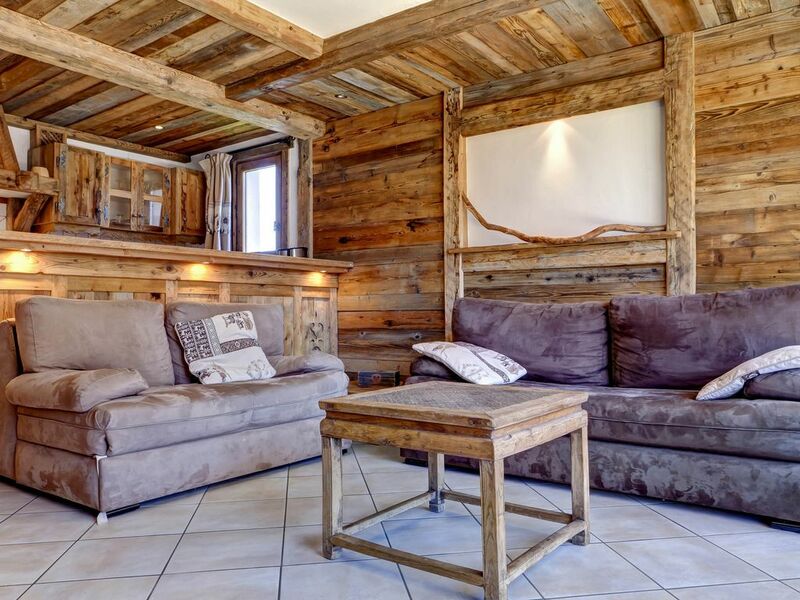 Apartment close to the center and all the facilities of Courchevel 1650. 2 Bedrooms apartment for 5 people on the 5th floor of a residence with lift. Living room with a balcony facing East. Screen television and dining area. Fully equipped kitchen: fridge, ceramic hobs, oven and dishwasher. Bedroom 2: Doubled bed with a shower space. One bathroom with bath tub and washing machine. Please note that bed linen is provided. Beds can be made prior to arrival for 10€ per bed. We really liked the apartment, it was as it looked in the pictures, comfortable and warm, with a great bathroom! I thought the double was a bit small if there were 2 people, which there werent, and the kitchen lacks any knives for cooking.. not knives and forks though. The flat was hard to find on arrival and the underground carpark is like something from a nightmare. there is loads of storage in the flat and cleaning kit and the location is really convenient being quiet yet close to the centre. all the decoration is really nice and the flat is very fitting with the surroundings, with lots of antique wood.